KaiserJeep wrote: The way things are going, most if not all of those aging Nuclear plants will be replaced with Natural Gas co-generation facilities. The dependency on FF's will therefore grow to 80-90% within 2 decades. Renewables other than hydropower (which does not exist in the MidWest in the "Great Plains" states) are not suitable to replace Nuclear as stable baseline power plants. It kinda looks like in the absence of true political leadership on Energy, the problem gets lots worse before it gets better. Good point, KJ. Since we lack the will as a country to try and use safe nuclear power effectively, that will be one more big source of FF burning, as more NG plants come online. Not as bad as coal, but certainly far worse than nuclear, re pollution and AGW. Too bad they can't go to solar and wind, since it's supposedly so cheap now at utility scale. But of course, when you add in the STUPENDOUS amount of battery backup required, deal with the transmission distances, etc. -- it's not so cheap or easy as the super-greens say, or they'd do it. Maybe the next cycle, since the green tech rollout will take several decades. The "cheapness" factor is unfortunately not there with wind/solar, either. YES, these technologies are relatively cheap to acquire and install, much more so than in past years. However, there is an intermittancy problem. My rooftop solar PV here in sunny California produces power at 18% of rated capacity, when averaged all year round, because the sun shines less in Winter and not at all at night. In the Winter months (even the relatively mild California Winter), I owe a few bucks per month to PG&E, mainly due to the increased Natural Gas consumed by my furnace. In the Summer, I get credits which make up for Winter, in the semi-annual "true-up" bill, I end up with an annual balance about $350 below prior years, after figuring the $90/month lease payments on the Solar PV. If I had laid out the $18K and boughht those panels outright in the beginning, I'd be saving about $1400 per year. Nowadays panels are cheaper and the expense would be $14K, payback in the first decade. An alternative to Jennifer F.
The theory that has been most popular in the media Among those that argue that Arctic change is forcing more extreme weather in the mid-latitudes is that of Francis and Vavrus 2012. Their argument is that accelerated Arctic warming is leading to a slackened equator to pole temperature differential across the NH. The Jet Stream feeds off of this temperature gradient so therefore the weakened temperature gradient results in a slackening or weakening of the Jet Stream. The slower Jet Stream has further knock on effects of a wavier, more meandering Jet Stream with greater amplitude. A slower, wavier and more amplified Jet Stream produces more extreme weather including more heat and cold waves, flooding and droughts. I have proposed an alternate theory with different iterations of Arctic sea ice loss and increasing Siberian snow cover leading to more frequent disruptions of the stratospheric PV. In the scientific literature this idea was proposed as early as Cohen and Barlow 2005 (top of page 4511) but possibly best described and illustrated in Cohen et al. 2014 in Box 2. Disappearing Arctic sea ice focused in the Barents-Kara Seas coupled with increasing Siberian snow cover favors an anomalous tropospheric wave across the Eurasian continent with ridging across northwest Eurasia, due to anomalous heating from sea ice loss and troughing across northeast Eurasia, due to anomalous cooling from increased snow cover. This anomalous wave projects onto or amplifies the naturally occurring wave across Eurasia forced by the land ocean contrast and the topography of the Eastern Hemisphere. Amplification of the natural or climatological wave results in greater vertical energy transfer from the troposphere into the polar stratosphere leading to more frequent stratospheric PV disruptions. Stratospheric PV disruptions are often followed by an increase in severe winter weather across the NH mid-latitudes including the Eastern US, Europe and East Asia (Figure iii). I'm with Judah C. on this instead of Jennifer F, what is going to direct the weather is topography, snowcover/mtn ranges/deserts instead of the jet/vortex, now we are inbetween, both are driving the highs and lows, but we are going to a monsoon/stable cold lows on the American and Asian continent pattern. That will turn this world upsidedown and around. We are in the transition to the new world order, climate and the other, self government by people who try to adapt to whatever changes are upon us. It’s what we call winter. The problem with climate science is alarmist jumping to dire conclusions based on short term data and cherry picking start dates to make a “scary” trend when really all we have is decadal upcycle that will be followed by a decadal down cycle. Seviour says while there are signs the polar vortex is getting weaker, the patterns in the polar vortex we’re seeing may be explained by natural variability. The records we have of disruptions to the polar vortex are limited and vary a lot decade-to-decade, adds Amy Butler, an atmospheric scientist at the Cooperative Institute for Research in Environmental Sciences. And the relative infrequency of polar vortex shifts means there’s little historical data to go off in studying these events. Usually at this time of year you can expect to see parts of the Canadian Arctic and most of the Greenland icecap experiencing a daytime high of -40C or colder. However, recently what I have tended to see is little to no areas with -40C temperatures in the Canadian Arctic. Even the Greenland icecap is shown on some days with no area of -40C temperatures. It seems pretty evident that the colder than normal temperatures we are experiencing in Southern Canada are being balanced out by warmer than normal temperatures in the Arctic and in Greenland. Exactly right. The total energy change is slight, it’s nust that it’s getting moved around. If it’s abnormally ccold (hot) here then it’s abnormally hit (cold) elsewhere. Yet the overall trend is to warming. The deep penetration of polar air masses to middle latitudes is exactly what should be expected from global warming. The failure of the polar front jet to develop its normal intensity and act as a polar containment vessels directly the result of warming. The loss of Arctic sea ice is what drives this destabilization since it slows the initial stage of polar front jet development allowing barcolinic eddies which routinely transport heat and momentum poleward, which are more active in winter due to the increased pole to equator temperature gradient, to more easily disrupt the jet and keep it weak. A strong jet develops a strong PV gradient which has elastic properties. The weaker the gradient the easier it is to deform PV contours. 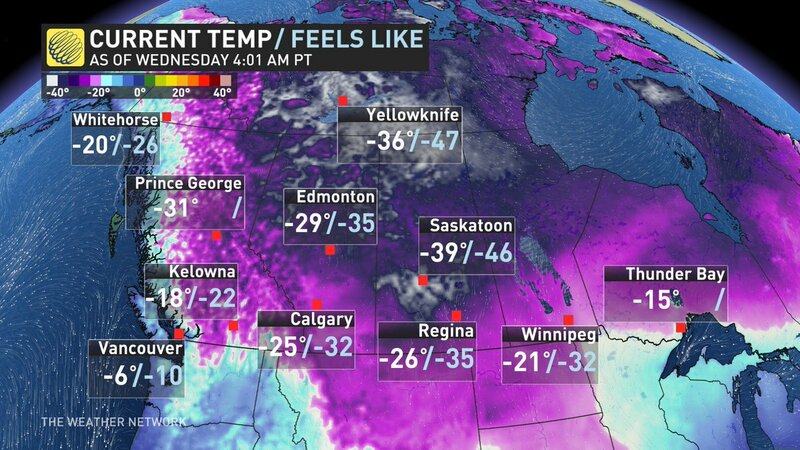 Deniers keep on bleating the same tired sh*t about it being cold in some location. Well, duh, that means nothing. Only hemispherically average temperatures matter. Cold polar air masses moving south is associated with warmer middle latitude air masses moving towards the pole. In the past the meander of the jet stream(s) was smaller. One effect of this meander is that the winter average temperatures over the polar cap are warmer than they would be with a more axially symmetric polar air mass distribution. So even though the heat loss is not much different, the temperature is higher. The extra non-zonality is tapping into the low latitude warm air and amounts to a global enhancement of equator to pole heat transport.